CM1164 can manage four computers on one screen with a variety of display modes: Quad View, Picture in Picture (Dual, Triple or Quad) and Full Screen. The display modes allow you to view four computers in resizable windows that can be clicked for KVM access. CM1164's interface delivers when it comes to computer access and switching display modes – with an on-screen control panel, pushbuttons, hotkeys, IR remote control and mouse OSD access, control is simple. Each method allows you to access computers and change how they are displayed on the screen. The interface reduces configuration time by providing many options that make control quick and easy. With the CM1164's unique design and innovative features switching between different display modes is easy. It's perfect for digital art studios where multiple PCs are utilized to create images or videos. The CM1164 gives you the ability to view four computers on one screen in high definition with resizable windows that can be clicked for access. Switching between the computers and each display mode is fast and seamless. No other switch can give you such viewing power and PC access. 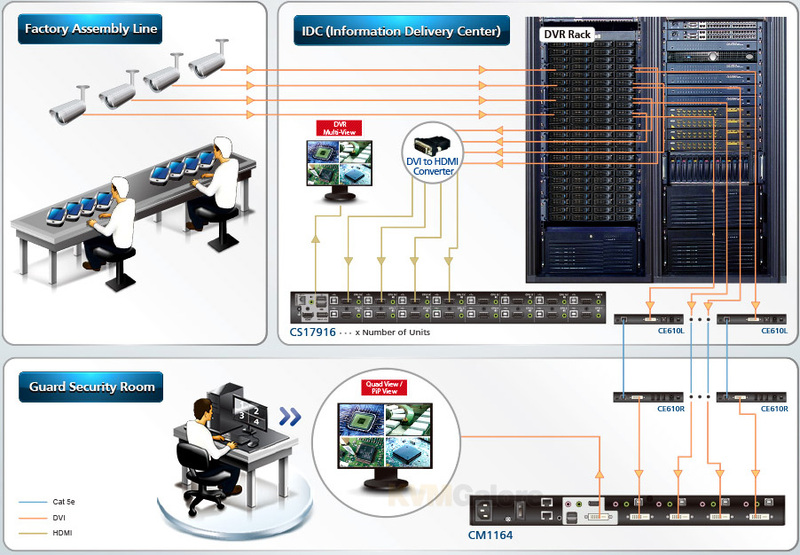 CM1164 Multi-View DVI-D KVMP switch is the perfect partner for anyone who needs to work on multiple computers, view them at the same time and wants to be a simple click away from switching control. It's ideal for viewing information on one or more desktops while managing control of an application on another - you will no longer need to leave your seat to view or access data across four different systems. The expandability of CM1164 provides daisy-chaining for up to four units so that you can easily switch between up to 16 computers. A leading manufacturer of mobile tablets and smart phones has an assembly line that runs 24/7 and requires constant monitoring. The video feeds from the assembly line surveillance cameras need to be monitored in both their control room and security center on a single screen with multi-view access. Hospital wants to introduce ultrasound equipment that allows doctors and patients to view high resolution images. 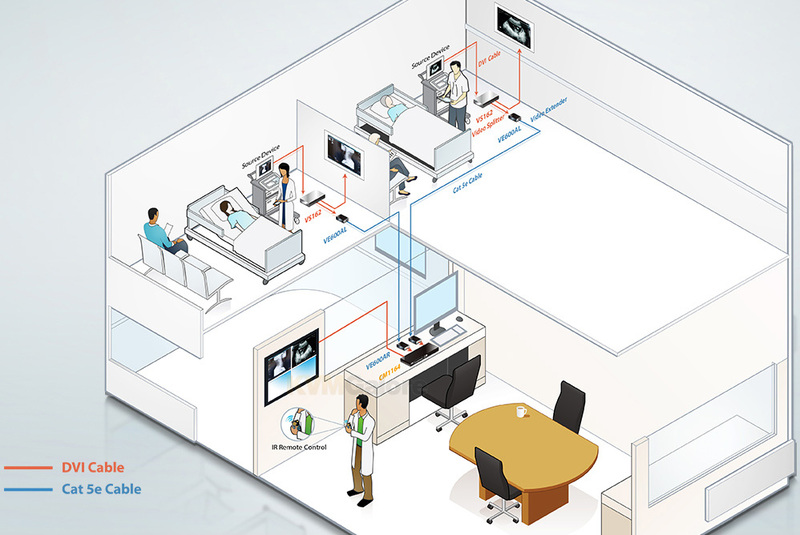 In addition, they wish to extend the image transmission and provide split screen viewing for VIP patients and guardians in real-time. 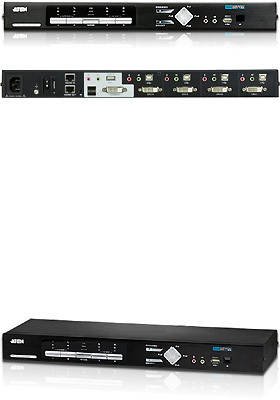 CM1164 multiview DVI KVM switch is now available on KVMGalore.com.